In Bangladesh, elders have always been considered the symbol of cultural values and familial pride. We are taught from childhood to love and respect our elders, value their advice and take care of them as they age. However, despite the importance our culture places on elders, the elderly population of our country remains a vulnerable demographic group. With no systematic social services or government provisions targeted towards the elderly, many ageing persons in our country find themselves in susceptible positions, shunned by family and society and ignored by the state. The elderly constitute a much larger proportion of the population today than ever before. From the 1950s to 2000s, Bangladesh actually experienced a slow and steady decrease in its elderly population. But with improvements in healthcare, our life expectancy has increased and fertility and mortality rates have fallen; as a result, the number of people aged 60 and above has increased significantly in recent years. By 2025, our ageing population is projected to constitute 9 per cent of the total population, which will be large in absolute terms. 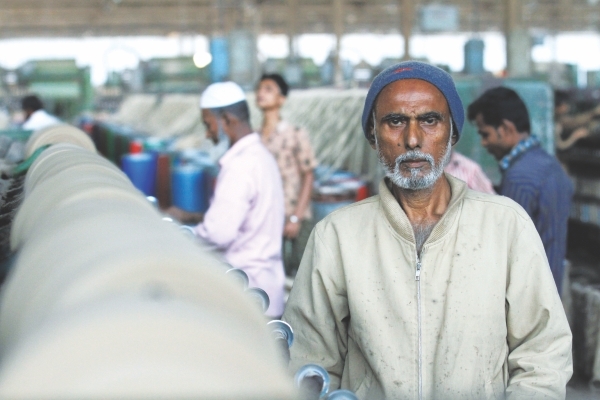 The process of ageing in Bangladesh is occurring at a time of transition – the economy is transforming and so are kinship bonds and familial structures. Traditionally, children, particularly sons, are supposed to provide support to their parents in their old age. “Back in the days, it was a given that the children would take care of their parents as they grew older. It was our duty and we never questioned it,” says Shikdar Enam Sharkar, 62, who grew up in a joint family. “My parents looked after their parents, and I looked after mine; now it's my children's turn to look after me,” he comments. In the cities, the traditional family structure is undergoing rapid changes. In the rural areas, too, there is a noticeable shift in people's attitudes regarding the elderly. 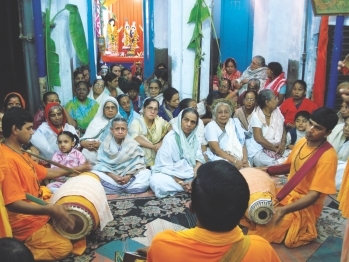 Socio-economic transitions, mass poverty, rapid urbanisation, individualistic mind-sets, changing social values and so on, have contributed to alienating the elderly from their communities; left to fend for themselves, many elderly have to struggle to solve their economic, health and emotional problems. She has no expectations from anyone. She doesn't know how she will get money for treatment if she is ill, or who she will turn to if her children stop sending her cash from the city. Khatun's elder son, Kobir, has a family of his own. “With no permanent job, I can't even feed my children twice a day. I wish I could bring my mother here to live with us, but there is just no room and no money,” he comments. Khatun at least has a fallback option, however fallible. Banu Begum lives on the streets of Dhaka, depending on people's alms to get her through the day. She can barely walk, but she makes her living by begging in a busy intersection in the city. She is slowly losing her memory, and the young tokais on the street help her every evening to get back to her mobile home. One day, she will pass away, unnoticed, unsung and uncared for, with no one to even arrange her burial. 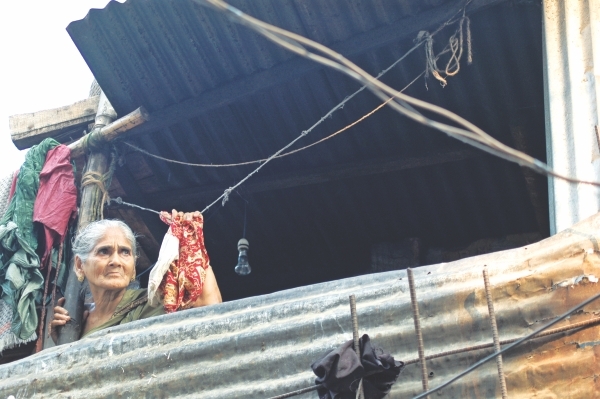 There are only a handful of old homes in the country to take care of people like Banu Begum. The ones that exist are often under-staffed and ill-equipped to deal with the multifaceted problems of senior citizens. As a result of resource constraints, more often than not, they are inaccessible for people like Banu who cannot afford to pay even the minimum fees. As yet, the government has not taken any significant measures to provide protections for its vulnerable elderly population, even though the rights of the elderly are recognised in the Constitution (Section 15). Until 2006, there was no national policy to direct systematic government action. The relevant stakeholders hoped that the National Policy on Older People, formulated after the launch of the Madrid International Plan of Action on Ageing (MIPAA), would result in “mainstreaming older people's issues and meaningful recognition of older people as a vulnerable group, leading to targeted funding and plan.” The positive practical outcomes of the policy, however, are yet to be felt. The government has undertaken some initiatives over the years to provide social pensions to underprivileged senior citizens. In 1997-98, the government launched its Old Age Allowance Programme, which provides a monthly allowance to selected elderly from each ward of each union. According to the Ministry of Social Welfare, the government allocated 891 crore taka in 2011-2012, with 2.5 million beneficiaries. They each receive Tk 300 every three months. 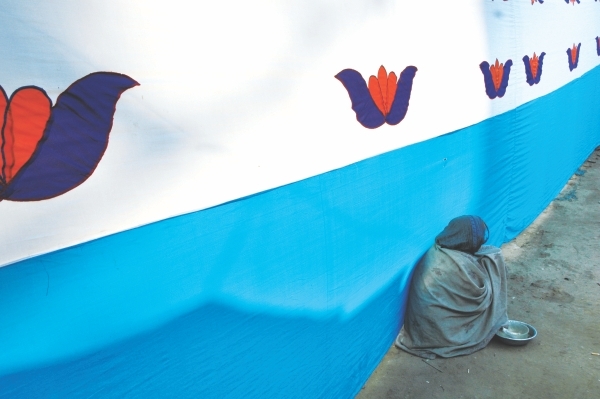 Beneficiaries must be above 57 and have an annual income below 3,000 taka; they are selected on the basis of financial and social condition – priority is given to those who suffer from chronic poor health, those who are landless or homeless or those who are widowed, divorced or deserted by family. The government provides a monthly allowance to selected senior citizens from each ward. Other government initiatives that include the Widow's Allowance Scheme set up in 1998, currently benefits approximately 650,000 widows. Widows are one of the most vulnerable segments in Bangladeshi society since they are denied access to resources, including their husbands' property. There is also the Allowance for the Distressed Freedom Fighter Scheme and the Allowances for the Insolvent Persons with Disabilities Programme, which assist a number of deprived and suffering seniors. Although these initiatives are note-worthy, they fail to reach a majority of the elderly who are in dire need of these social safety nets. The Old Age Allowance Programme, for instance, only reaches 20 percent of the total elderly population. According to research conducted by NGOs, leakage, corruption and political patronage seriously hinder the ultra poor from accessing these services. Almost 92 percent of poor benefiaries and 90 percent of non-poor beneficiaries stated that lobbying was instrumental in obtaining their cards. Since it is up to the member or chairman of each Union Parishad to select recipients, potential beneficiaries must lobby and/or pay a certain amount to have their names enlisted. The ultra-poor are often excluded from these safety net benefits, given the necessity for lobbying, bribing and political patronage to gain access. Even if we ignore the corruption and leakages that occur at various levels, the social pension programmes only reach a fraction of the targeted population. The pension system in Bangladesh is nowhere as comprehensive and inclusive as those that exist in other countries. It mostly covers public servants and leaves out the vast majority of labourers working in the agriculture sector and informal sector; similarly, migrant workers do not receive any pension. Private sector workers, too, are left out of the equation, although some do receive some sort of gratuity at retirement. Given the absence of a systematic and reliable pension system, many people are forced to remain in the workforce even after they reach the official retirement age. For those who work in the informal or agricultural sector, for instance, 'retirement' may seem like a fancy word; with no formal savings or retirement benefits, they must work till their bodies give in. At present, 66 percent of men and 18 percent of women over the age of 60 participate in the labour force. We, as a country, need to pay attention to the plight of our elders and make sure that we do not forget them in our path to progress. As a state, we should provide sufficient protections and safety net policies to our senior citizens; as civil society groups, we should incorporate the issues of the elderly in mainstream discussions of development. And as communities and families, we should remember our cultural tradition of respecting and taking care of our elders.